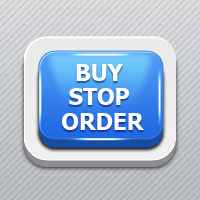 This expert advisor can enter and exit trades at specific times of the day. It offers trade management settings, a martingale function and money management features. Key Advantages Easy to use and superviseFully configurable entries and exitsCustomizable break-even, stop-loss, take-profit and trailing-stop settingsWorks for ECN/Non-ECN brokers and 2-3-4-5 digit symbolsSet TakeProfit, StopLoss, Break-event or Trailing. Input Parameters Set Trade Time Type or trade - Select any of trade type. This multi-functional indicator is an oscillator (MAСD, Momentum, RSI, MFI) normalized for Bollinger Bands. The normalized overbought determines overbought and oversold areas more correctly. 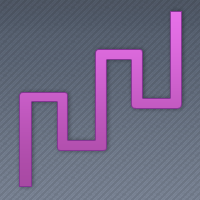 The oscillator can be displayed as a line, a histogram or a filled histogram. The upper and lower Bollinger Bands are configured independently (period and deviation). This indicator is used by the "Bollinger Bands strategy" Expert Advisor. It is provided to facilitate the visual selection of the parameters. PipTick VWATR indicator is a helpful tool for measuring of activity of the market. It is based on the idea of the Volume-Weighted ATR. The combination of these two elements helps to identify potential turning points or breakout opportunities. The indicator for the classification of the activity of the market uses moving average and its multiples. Accordingly, where the VWATR bar is located (relative to the moving average), it is labeled as ultra low, low, average, high, very high or ultra high. The indicator displays trend slowdown or possible end of trend and price reversal. The indicator has no parameters. When red bars appear and when they become shorter, we can talk about the approaching end of the downtrend. When green bars become shorter, we can expect the approaching end of the uptrend. Squeeze system was developed by John F. Carter. This simple indicator displays Squeeze and Acceleration periods. Squeeze = Periods when Keltner bands are inside Bollinger bands. Acceleration = Periods when the prices go out of Bollinger bands. Squeeze periods are followed by high volatility. Some breakout strategies can be based on Squeeze periods, but be careful to "head fake". 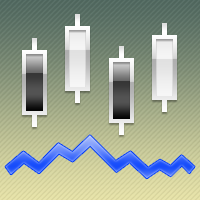 This indicator adds symbol and timeframe as watermark on your chart background. Features Adjustable text color opacity to blend with your background The watermark stays centered on window resize Customizable font, size, color and opacity Remembers the settings even when you exit the terminal Minimalistic and discreet Input parameters The following input parameters can be set. Font - desired font Size - text size Color - text color Opacity - watermark opacity [0. The script applies the template specified in the parameters to all open MetaTrader 5 charts. It can be run on any chart, the template name may contain both Latin and Cyrillic characters, as well as special characters. Parameters templates - template name specified without the ".tpl" extension, the template must be copied to "MetaTrader5_data_catalog"\templates folder. The indicator shows support/resistance levels based on the currency volatility for the selected period (number of bars) on the specified timeframe (regardless of the indicator timeframe). Price data on the selected currency and specified timeframe (by default – D1) are necessary for the indicator's normal operation. To download the necessary data, simply open the new window of the selected timeframe. 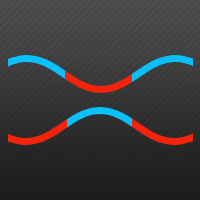 МetaТrader 4 version: https://www.mql5.com/en/market/product/6617. Chaikin Volatility Indicator by MQL5 Ltd.